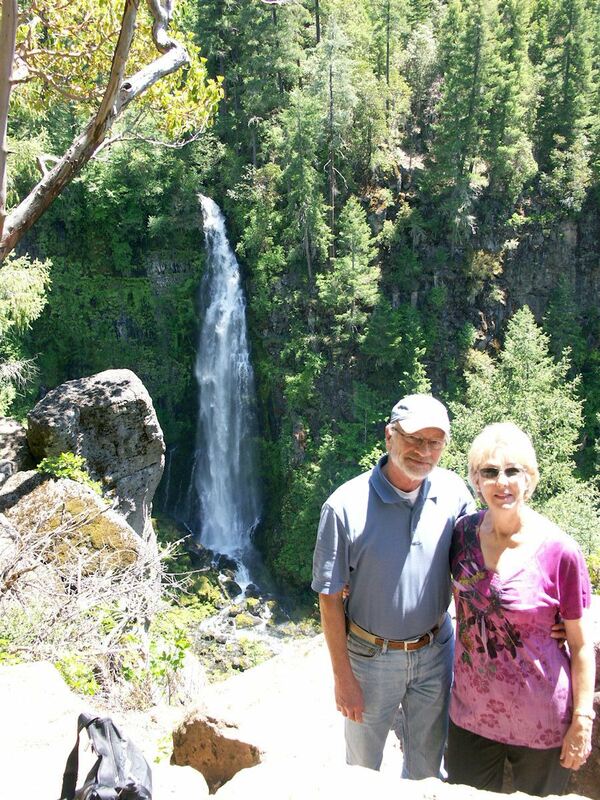 We were looking forward to this stop on the Rogue River in Oregon. 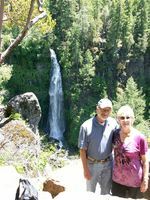 We stayed at the Moon Mountain RV Resort in Grants Pass. I would say it was "one" of the finest except the sites were very narrrow. Here are photos from the upper Rogue River towards Crater Lake in the east. They include the Mill Creek Falls, a living stump and a natural bridge that the river runs through.